Here are some sayings on advertising, with my take on them. This one is by Bill Bernbach, founder of Doyle Dane Bernbach. This was the agency that helped to kick-start modern advertising back in the 1960s with their famous understated ads for the Volkswagen Beetle. He made the cars best sellers by highlighting simple truths. Not just about obvious pluses like their reliability, but by making a virtue of the car’s diminutive size and odd appearance. People talk about telling lies in advertising, but the best approach is simply to highlight the truths about your product or service. Mislead your audience and you’re likely to end up killing your brand stone dead. ‘If it doesn’t sell, it isn’t creative’. These two are both by David Ogilvy, one of the giants in the industry, and founder of the agency Ogilvy & Mather, still one of the biggest agencies in the world. And they’re absolutely true. Saying the right thing is essential. As with the quote above, you need to make sure you choose the right message and be single-minded about saying it. Trying to say too much at once is like throwing a load of tennis balls at someone – they’re going to drop the lot. Throw one tennis ball and they’re likely to catch it. Saying the wrong thing is like throwing a cannonball or a ball bearing at them – they’re not likely to catch those either. And to stretch the metaphor even further, throwing your tennis ball in a double loop with one hand while balancing on the other is unlikely to end in the intended person catching it. In other words, don’t try to be clever for the sake of it. It’s not creative, it’s not art, and it’s not going to sell. This wry observation is by Eric Clarke, and it’s painfully true. For people outside the business, advertising can be whatever you want it to be: intrusive, boring, the best thing on TV, wicked, you name it…but very few people are willing to admit that it affects them. But it does work – in some cases brilliantly so. Remember those Smash Martian ads from way back? They propelled Smash from nowhere to being the best-selling instant mash. This despite the fact that it was generally agreed that when it came to taste and price, their rivals beat them hands down. That famous sage Anon apparently coined this one. Like the chocolate manufacturer mentioned in an earlier post who kept advertising during the war, even though their products were largely unavailable, it pays you to keep advertising. 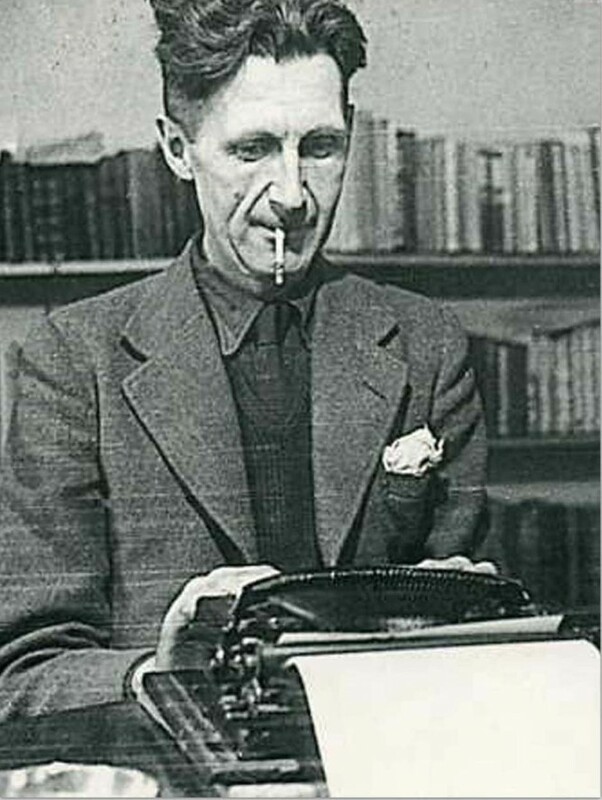 I rather like this somewhat jaundiced image, penned by George Orwell (pictured above). Mind you, he was very much a man of his time, and the political insinuations of this saying (those nasty capitalists eh?) don’t quite ring true today. Nowadays, it’s the consumer who is more cynical, albeit a more willing participant in the process. To me, advertising today is more like the melodious tones of the dinner gong, politely inviting our pleasurable participation. I like this one, which was thought up by advertising author and guru Jerry Della Femina. Many years ago, when I was just starting out and trying to get my first job in the business, I had to go to the unemployment office to explain my efforts to find work. When asked why I should restrict my job search to advertising to the employment engineer (or whatever the grandiose job title was), I answered with this quote. There was a long pause. The already Siberian employment office grew a couple of degrees chillier. Finally, she replied: ‘That’s all very well, Mr Wise. But having no money is not much fun is it?’ Fortunately, I landed a job soon after, so the threat of having my dole money cut never materialised. You can find some examples of my advertising on my Press ads and posters page. This entry was posted in Advertising copywriting and tagged advertising quotes, advertising sayings. Bookmark the permalink.